Prime Minister Justin Trudeau said Canada is concerned about anything that creates impediments at the border. 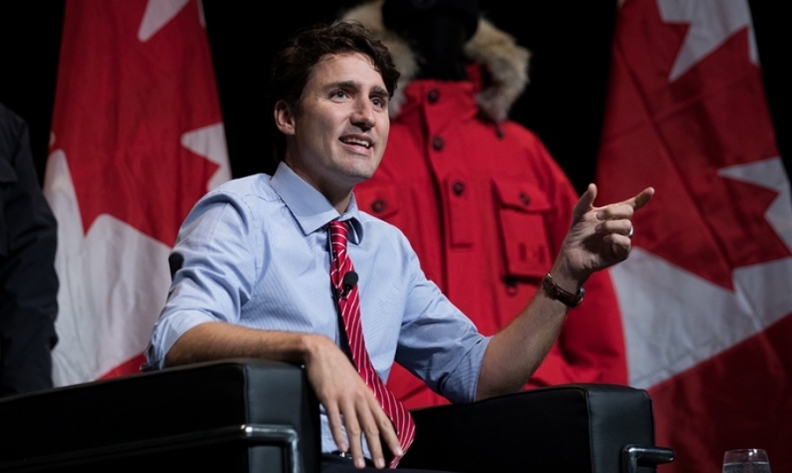 Canadian Prime Minister Justin Trudeau on Thursday repeated his opposition to a U.S. proposal for an import tax, telling energy executives gathered in Houston a levy would hurt both economies. "Anything that creates impediments at the border, extra tariffs, new taxes is something we're concerned with," Trudeau said, adding: "You're going to be hurting not just the Canadian economy but the American economy as well." During a question-and-answer session, Trudeau noted auto parts cross the border several times before ending up in an assembled vehicle, saying that collecting a tax each time a part crossed the border would create logistical problems. Republicans have proposed a border adjustment tax that favours exports over imports as part of a plan to overhaul the U.S. tax code. The idea is under attack from import-heavy businesses but it is supported by large exporters, such as manufacturers. Earlier, Canada's Natural Resources minister said his government is ready to discuss changes to the North American Free Trade Agreement (NAFTA) with the United States and Mexico. Minister of Natural Resources Jim Carr said Ottawa's view is that trade agreements "every now and then should be refreshed," responding to questions about the trade pact at a news briefing in Houston. U.S. President Donald Trump has said he wants to renegotiate the more than two decade old agreement. Carr also said Canada would be prepared to respond to the U.S. administration's border tax proposal, but said executives attending the CERAWeek energy conference told him they don't see the need for a tax on energy imports. "They want a free movement of goods and services. We have to do a better job as Canadians of reminding our American friends how integrated this relationship is," Carr said. He declined to speculate on what policy changes might come out of the new U.S. administration, but said that Canada would "expand and deepen the network of people we do business with in the United States."